College students may be poor, but they've still got plenty of stuff of value, monetary and otherwise. Thefts are on the rise on campuses everywhere, and students need to take precautions. Small high-dollar gadgets, like iPods, laptops and game systems, are the most commonly stolen items on college campuses around the county. A campus robber in Fort Collins, Colo. roamed campuses in the early evenings and stole laptops, music players, digital cameras, and phones from unlocked rooms. At Illinois Universities, residence hall burglaries doubled from 2006 to 2007, while at the University of Maine, vehicle robberies are common. In Atlanta, Ga, crimes against college students on and off campus became so common that in April, six college agencies and the Atlanta Police Department met at Georgia Tech to create a task force to combat crime against students. In most cases, campus thefts are crimes of convenience. 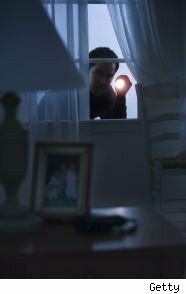 The criminals see an item out in the open, locked in a car, or in a dorm room, and they simply take it when no one is looking. The University of Oklahoma police department reported over $30,000 in stolen property from cars and vehicle damage during the 2007 fall semester alone. The Massachusetts Institute of Technology reports that the cost of theft at the college can total "several hundreds of thousands of dollars per year." Fortunately, MIT carries insurance to cover this loss. Many colleges, however do not. The National Association of Insurance Commissioners suggest that off campus students get renter's insurance. This costs between $15 and $30 a month and covers electronics, computers, clothes, bicycles and other items that can be stolen. For students who live on campus, parents can put them on their existing homeowners policy for no additional cost. The student is covered for up to 10% of the value of the homeowner's policy. Of course, there could be a hefty deductible and making a claim on the policy can have adverse effects such as triggering rising annual premiums. When all else fails, you can insure individual electronics and items for a little as $10 to $40 a year either from your insurance company, or your cell phone and data package provider. To find the best insurance option for you, check with your family's insurance agent or college, which may have a deal with an insurance carrier, or at least a list of preferred insurance companies. Meanwhile, let's not forget what good old Ben Franklin said: "An ounce of prevention is worth a pound of cure." By taking precautions to protect your belongings and yourself, you will save yourself a great deal of grief, loss, and pain. Here are some safety rules that will protect you from personal harm as well. Lock the door to your dorm room, even if you are leaving for just a moment. This includes making sure the entry doors to the residence hall stays locked too. Don't let strangers, or people you don't know very well into your room or dorm, even if they look like they belong there. Become very familiar with campus safety. Memorize and program these phone numbers into your phone. (This saved the four students in a recent Morehouse College car-jacking) Report any suspicious activity immediately. Take a self defense course that teaches you to be aware of your surroundings, and use common items as weapons.